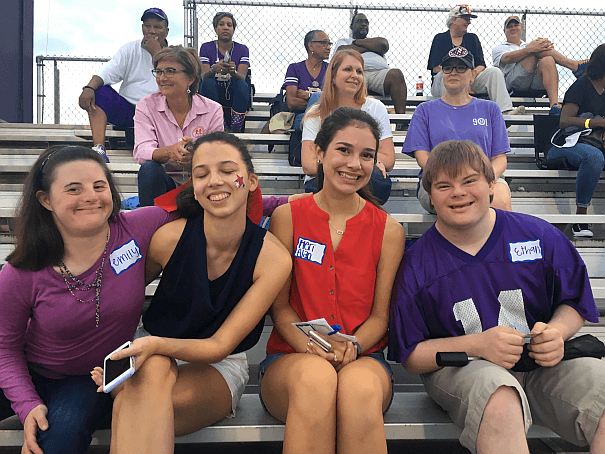 Every year St. Agnes Academy’s Pep Club and Forever Friends Club come together with the students from Madonna Learning Center for a night of friends, food, and football at a CBHS football game. Madonna Learning Center is a day school for individuals with special needs. The students range from age 5 to 30 years old. 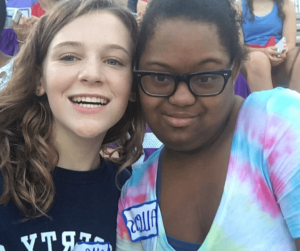 Madonna’s goal is “to enable children and adults with special needs to enjoy a productive and satisfying quality of life” despite their disability. I have been able to work with the Madonna students in a number of events and it is amazing to see the bonds formed between the students at Madonna, St. Agnes, and CBHS. All of these students come together for a fun Friday night! Together the students attend a tailgate and enjoy a night of football. The night of this year’s event, the Brother’s played Kipp. It was amazing to see the Madonna students cheer on the football players, especially on a night with such a big win. This football and tailgating night is the hallmark event of the St. Agnes Pep Club for good reason. From my experience this event is eye-opening. Watching my buddy’s face light up every time a football player would high ﬁve him was so rewarding. It’s at these moments, that I know we are doing something good for these students and that even little actions can make a big difference. 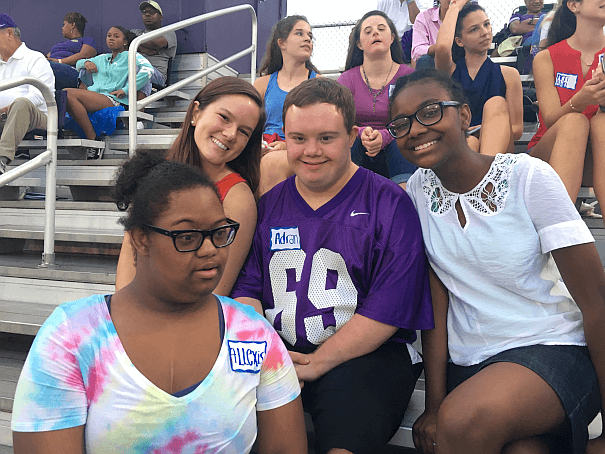 At the game, the students from Madonna get to socialize with teens their own age and make new friends with the students from CBHS and St. Agnes. The Madonna students were so fun to talk to and I enjoyed getting to know them and introducing them to my friends! These students have taught me to be grateful for the little things and cherish those moments. Share Forever Friends from Memphis Impact & 4Memphis!